On a black car more than any other car color, the chrome finish stands out quite a bit. 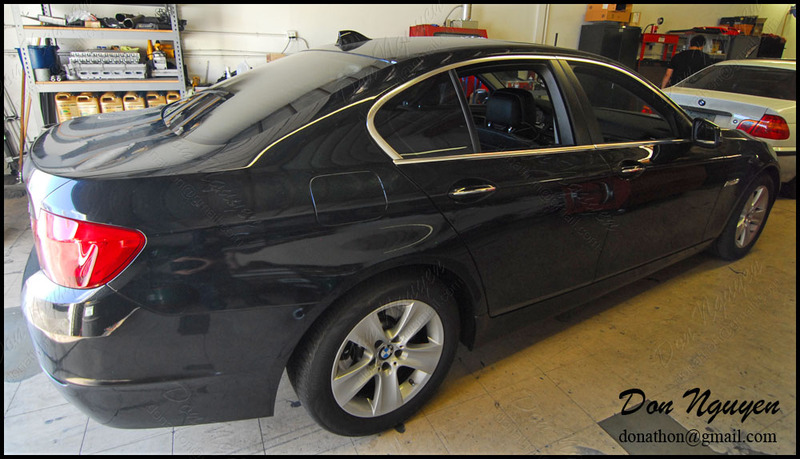 The owner of this new black BMW F10 5 series had me black out the chrome window trim on his car with my matte black vinyl material. If he wanted to complete the black out look, I could have also done the small strip on the door handles and also the front amber reflector in the same matte black vinyl material or my gloss black finish so that it'd blend in with the car better. The owner of this car drove out to me in Anaheim Hills/Orange County to have the work done.